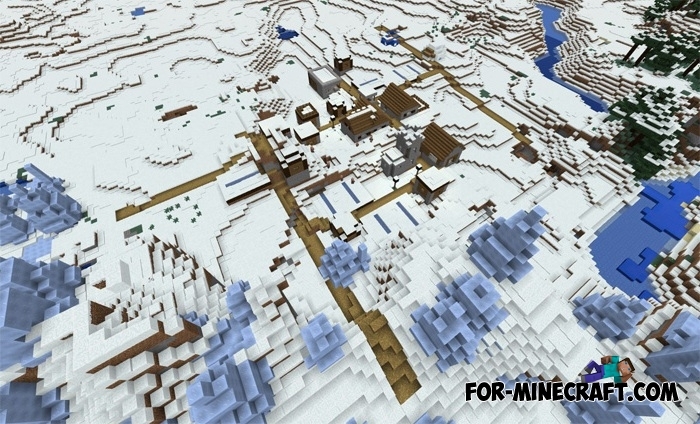 It is rare to find such a seed as this will send you to the icy realm where the village is located with other structures. The peculiarity of the seed is that several structures are concentrated here, so you instantly deprive yourself of searches. In fact, any MCPE seed is an alternative to maps in some way, because if you do not want to download files and install them then just select a seed and instantly go to the place described. All structures are in close proximity to spawn. Once you have appeared, climb to a mountain or any hill and look around. 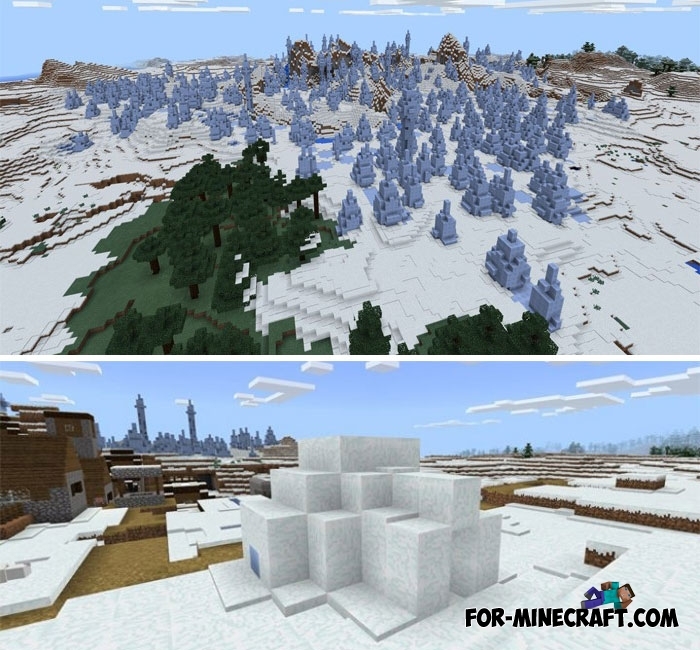 Igloo Village map for Minecraft PE 1.2You probably saw an igloo (small houses made of ice), inhabited by ancient tribes. So the Eskimos..